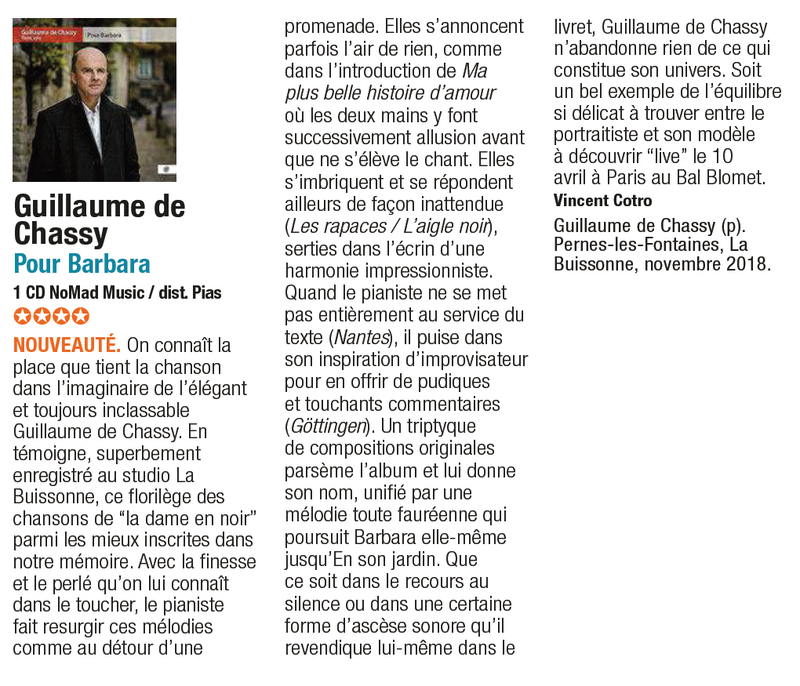 Barbara, her songs and her legend have been with Guillaume de Chassy, like many others, since childhood. Despite the forward march of time, her evocative power, paradoxically suffused with her fragility, has remained intact. The pianist pays homage to “The Lady in Black” with this album of improvisations on some of her most beautiful songs. 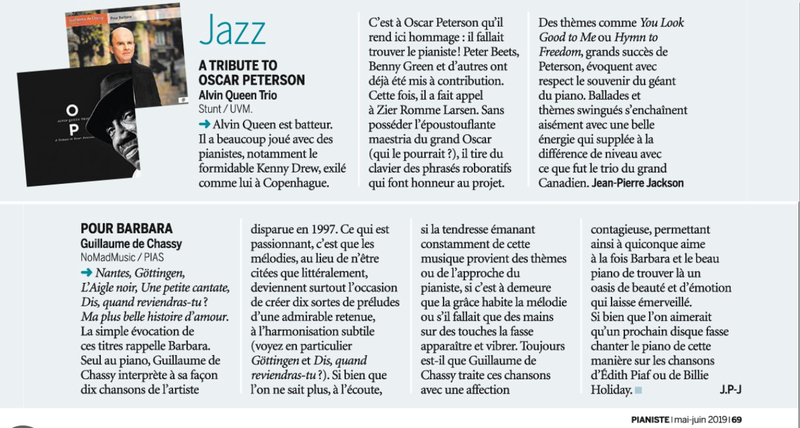 10 April 2019 4F Télérama pour l'hommage à Barbara de Guillaume de Chassy ! 23 March 2019 L'hommage à Barbara de Guillaume de Chassy coup de cœur de FIP !